Introducing the March of Dimes Gift Guide! Honor someone special with a truly unique gift, and let them know you’ve joined the fight for the health of all moms and babies. 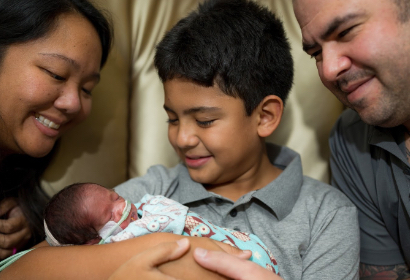 Families like the McBrides benefit from the lifesaving work of March of Dimes. Watch their story and find out how you can make a difference. 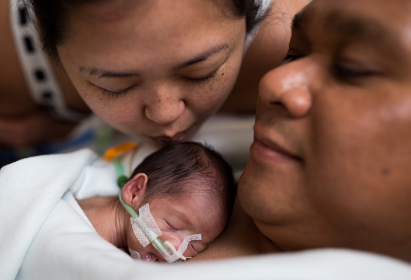 A gift from you can help give every baby the best possible start. Find out how your state ranks on the 2018 Report Card. Purchase symbolic gifts or products from the March of Dimes gift guide to help us build healthier families. 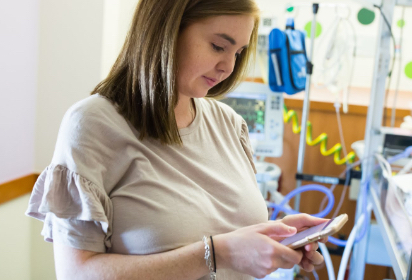 If you have a baby in the newborn intensive care unit, My NICU Baby App is available whenever you need it to provide peace of mind, support and information at your fingertips. 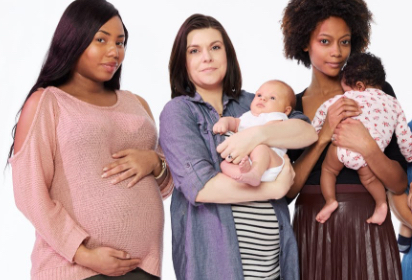 Sign up for our action network to help persuade policymakers to pass laws and regulations that promote the health of women and babies, and send your representatives messages of support for all families. 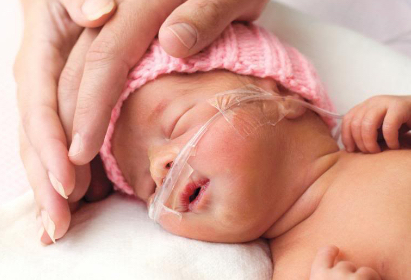 Don’t miss our webinar, perfect for NICU families, A Day in the Life: Caregiving for a Medically Complex Child, on November 9 at 1:00-2:00 p.m., EST. Post messages on Facebook, Twitter, Instagram—don’t forget to tag @marchofdimes and use #PrematurityAwarenessMonth and #WorldPrematurityDay in your posts! Download our Prematurity Awareness Month toolkit for videos, posters, tools and more to join the fight for the health of families this fall. Be sure to visit our social presskit to easily post your support and spread awareness on your social media accounts all month long.